The College of Letters and Science’s Center for Academic Excellence provides an enriching, inclusive community and academic support for L&S students who have been historically underrepresented in higher education, including first-generation and low-income students , and students of color. CAE offers a variety of engagement opportunities, including high-touch advising, tutoring programs, health and wellness events, social events, graduate school preparation, and connections with High Impact Practices. CAE also assists in campus-wide efforts to fully integrate diverse voices into the University community to facilitate a welcoming, responsive, and validating campus climate for our students. CAE is proud of its rich history of supporting student success efforts at UW-Madison for a half of a century. Starting as the Five-Year Program in 1966 it evolved into the Academic Advancement Program in 1979. In 2007, AAP joined with Pathways for Excellence, followed by CAE taking on its current structure in the College of Letters and Science in 2013. Throughout the evolution of program names and structure, CAE remain true to its central focus: supporting and enhancing student success at UW-Madison from admission through graduation. To provide an enriching community that fosters engagement and life-long learning. 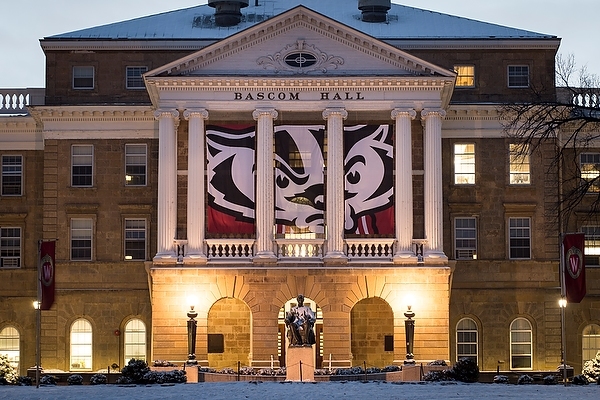 To promote the values of a liberal arts education and find new ways for students to make a difference locally, nationally, and globally by partnering to make the Wisconsin Experience a reality for all students. Partner with students to co-create the Wisconsin Experience by providing a student-centered approach to student development.